October in Puglia: La Dolce Vita, Salento Style! 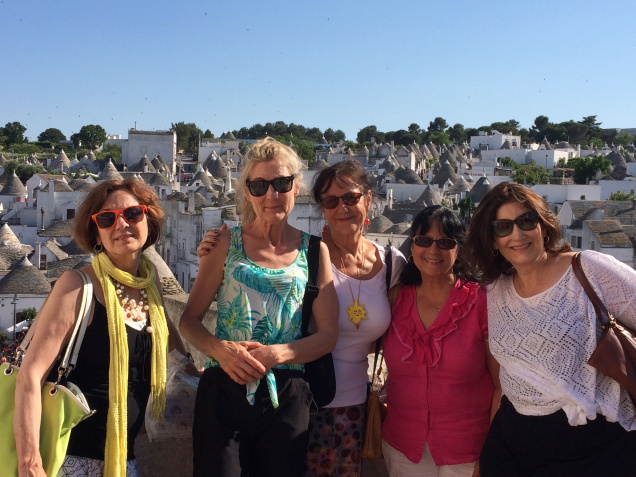 Victoria De Maio of PostcardZ from Victoria has another one of her great small group tours in Puglia coming up. We’ve asked her to tell us the details. For the first 4 nights of your tour, you will stay in Lecce. Your boutique, an all-suite hotel is in the heart of Lecce’s historic center and walking distance from the very best that this Baroque jewel has to offer. Enjoy Lecce’s unique architecture and pedestrian center with its wine bars, museums, restaurants, shops, bookstores, and more. Day 1 – Friday, October 9 – Benvenuti! Welcome to Puglia! Your private transfer will take you to your accommodation in Lecce. Check in and welcome wine tasting. Dinner to follow featuring traditional Pugliese cuisine at a local trattoria. 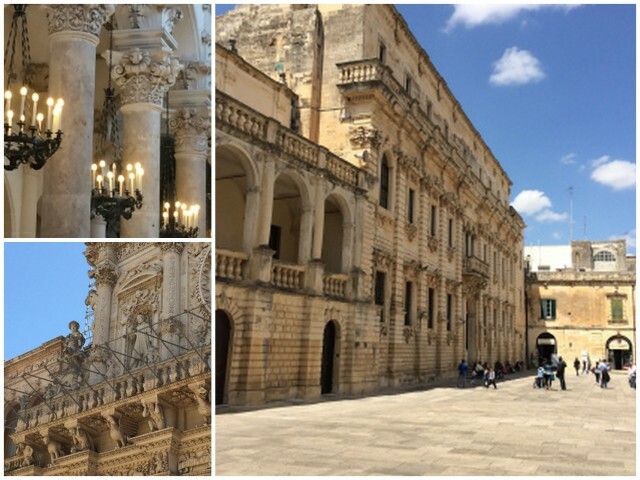 Walking tour of Lecce, the capital of Baroque. A guided walk in the historical center with its lavish, magnificent Baroque architecture and distinctive personality. Visit a local artist and enjoy the cartapesta (papier-mâché) demonstration. Lunch in a local renowned restaurant with traditional, regional delights. Free afternoon in Lecce to explore and enjoy this lively, lovely town. Late afternoon “Aperitivo Leccese” followed by dinner and wine in a local ristorante walking distance from your hotel. On our way, let’s visit a local artisan in their pottery studio. 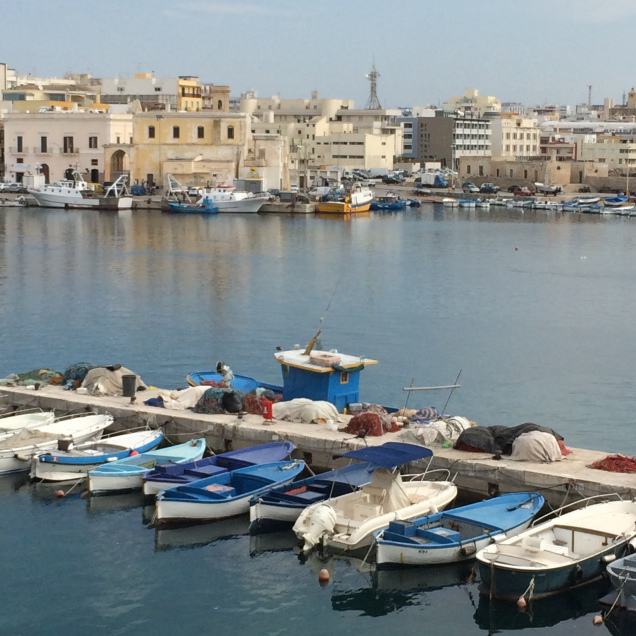 Visit the port of Gallipoli, “città bella” of fishermen. Lunch by the sea at a local ristorante. Walking tour of the old town of Gallipoli. Gelato time! Stop for a gourmet gelato treat before heading home. Return to Lecce to rest before dinner. Another fabulous, traditional dinner of regional specialties. 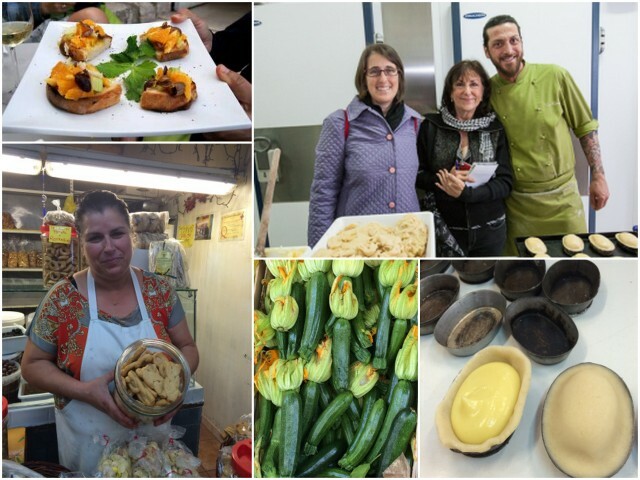 Day 4 – Monday, October 12 – Food Artisans Experience! After breakfast, embark on a food artisan tour (and a few samples! ); visit to the Lecce food market, watch fresh mozzarella being made at the caccificio (cheese shop), and pasticciotto (Lecce’s favorite pastry) at the pasticceria (pastry shop). Light lunch in a trendy enoteca in Lecce. Caffè Experience: Taste different coffees and learn about coffee making. Visit a pastificio (pasta shop) where we will make a very special wine pasta together. For the second half of our stay, we will move to the nearby countryside among thousands and thousands of hectares of olive groves! Here we will stay at Masseria Provenzani, a charming and relaxing restored 16th-century farmhouse. 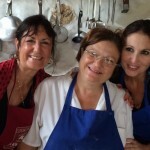 Here we will learn firsthand about “cucina povera”. 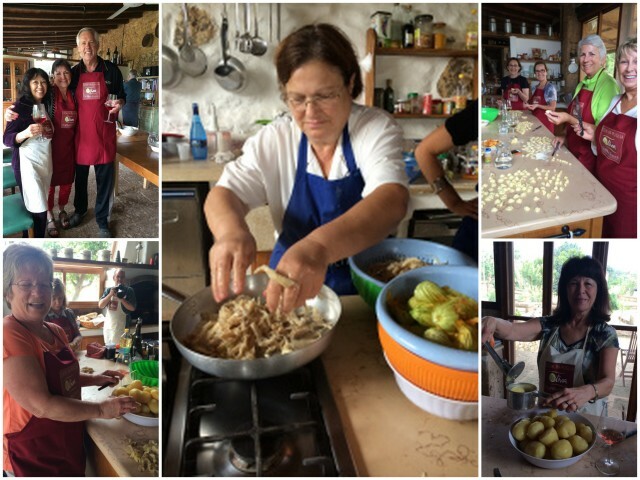 Putting on our aprons, we’ll prepare and enjoy regional seasonal dishes with Mamma Giulia, explore more of the seductive Salento lifestyle, and learn firsthand about the exquisite local olive oil and vino (of course!). 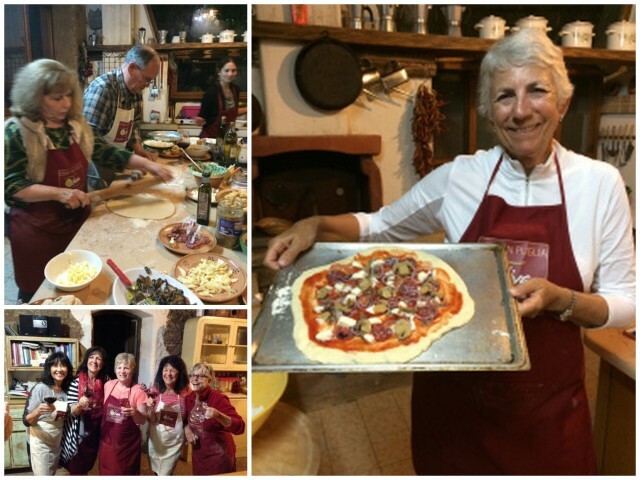 Day 5 – Tuesday, October 13 – City to Country with Some Wine & Cooking Lessons Along the Way! 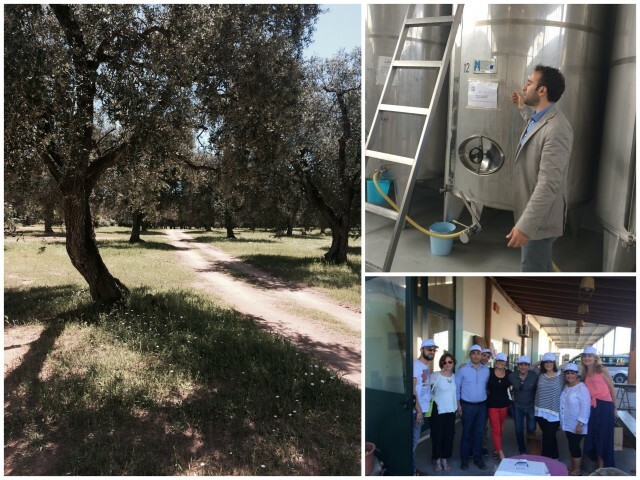 After breakfast, we check out and head to a Salento winery where Primitivo, Negroamaro, and other local varietals are transformed into gorgeous wines! Lunch at a traditional Masseria. Check in to our new home for 5 nights, a traditional Salento style Masseria. Time to unpack, relax, and practice some Italian with your hosts. Grab your apron! It’s time to cook together! Learn about “cucina povera” and how to make culinary magic with very simple ingredients. Day 6 – Wednesday, October 14 – It’s Olive Harvest! Time for a Picnic & the Pizzica! Today we will harvest olives and make our own olive oil! Our olive oil expert will guide us through this beautiful experience! Learn how to taste olive oil and enjoy a traditional picnic. Let’s dance the Pizzica with locals to traditional Salento music. Return to the Masseria for a private tutored wine tasting. Mamma is in the kitchen tonight and she will demonstrate how to make the best risotto! Today we will explore the picturesque and historic “grecia salentina” or griko Salento. Visit and enjoy guided walks in the town of Corigliano and the beautiful coastal city of Otranto, city of martyrs and mosaics (and great shopping!). Lunch in a traditional trattoria. On our way home, visit a farm where they make natural beauty products with aloe vera. Return to the Masseria for pizza making and dinner. 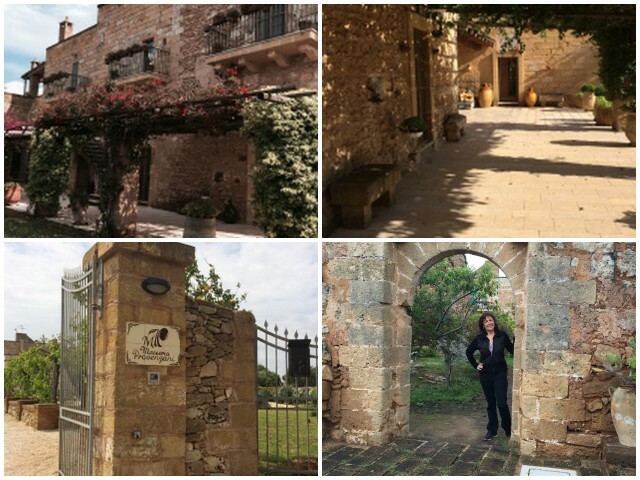 Day 8 – Friday, October 16 – Visit to the Itria Valley for a Trulli Photo Safari! Visit the famous Itria Valley and the famous white washed stone villages of Ostuni, Cisternino and Alberobello. Enjoy walking tours of these picturesque trulli towns. 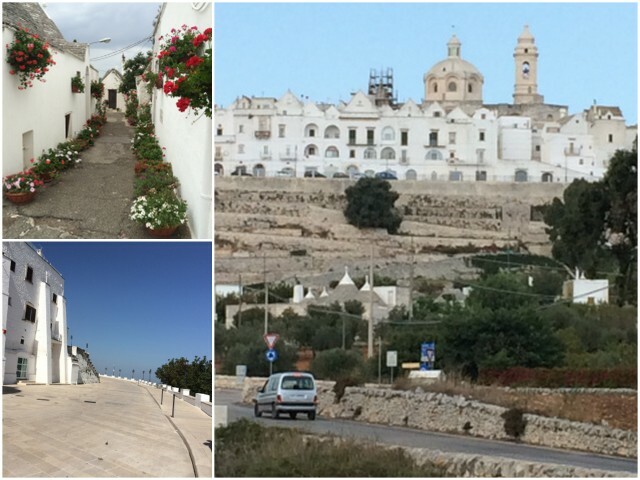 Guided stroll through Ostuni, “the white city”. In Cisternino, famous for its tradition of butcher shops with annexed wooden ovens, you will choose the meat you want cooked for you “al Fornello”. Free time in Alberobello to explore the many shops, wine bars, and gourmet food boutiques (and to take lots of photos!). After breakfast, we go off the beaten track to the Valle della Cupa to visit more picture-perfect villages in Northern Salento. Meet local artists and artisans. 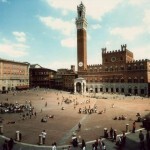 Enjoy lunch in a local traditional trattoria. Return to the Masseria to relax before our last evening together. A special class at Puglia Wine School where we will learn how to pair food and wine. Our last evening together will be celebrated with another special delicious dinner and wine. Day 10 – Sunday, October 18 – Buon Viaggio! Enjoy breakfast and say our goodbyes. Private transfer to Brindisi airport. *Itinerary is subject to change due to weather and unforeseen schedule changes. However, all activities outlined will be included in your experience. Limited to Only 12 Spaces! Book by July 30, 2015 and save $100 per person! “La dolce vita for me” sums up Victoria’s passion and love for all things Italian. An American (with deep Italian roots) living in California, her heart is always in Italy. 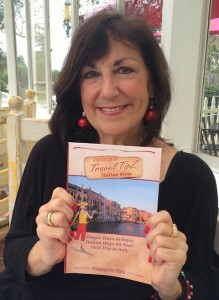 Her book “Victoria’s Travel TipZ Italian Style” is a result of her love for Italy, all things Italian, and sincere desire to help others have a truly fabulous trip to Italy. 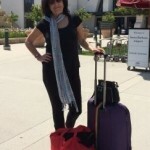 As a travel consultant, writer, and blogger, Victoria loves sharing practical no-nonsense travel tips and insights as well as her own experiences from a personal and light-hearted point-of-view on her travel blog, PostcardZ from Victoria. Needless to say, her favorite subject is Italy! When she isn’t planning her next trip (or yours! ), she loves being a regular contributing writer for Italian Notebook, Italian Talks, and L’Italo-Americano. She loves doing book signings and presentations and can also be found on Facebook, Twitter, YouTube, Pinterest, and Instagram as well as on blog radio, and doing guest posts and interviews.